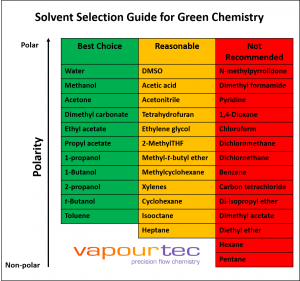 Green chemistry is also known as sustainable chemistry. It is a collection of practices guided by the twelve principles of green chemistry. The aim is to design chemical products and processes to reduce their environmental impact. The twelve principles cover all areas of chemistry and chemical engineering. The principals apply to the life-cycle of a chemical product from production to disposal. Using the sustainable chemistry approach, products and their manufacture are designed to reduce the need for hazardous substances. Also reducing production of hazardous waste and elimination of energy intensive processes. Reagentless synthesis approaches such as photochemistry and electrochemistry are particularly valuable in the drive towards green processes. Both approaches open valuable synthetic routes without the need for catalysts or reagents. The principles of sustainable chemistry use a “prevention is better than cure” philosophy. By not creating environmentally hazardous materials, the need to process and clean them is removed. Improving the overall efficiency of the process reduces the environmental impact of the specific chemical product. 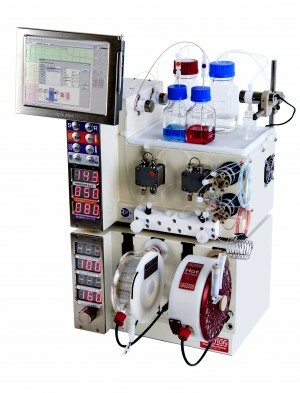 Flow chemistry is ideally suited to meeting the principles of green chemistry. Flow processes are inherently safer with small reaction volumes and lower volumes of solvents and reagents needed. 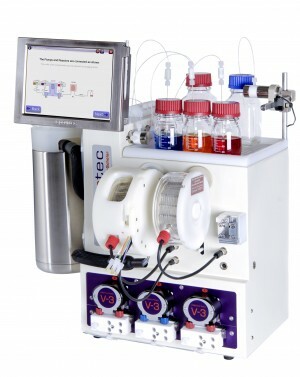 There is low risk of environmental exposure to reagents, and processes can be scaled without the need for re-optimisation.